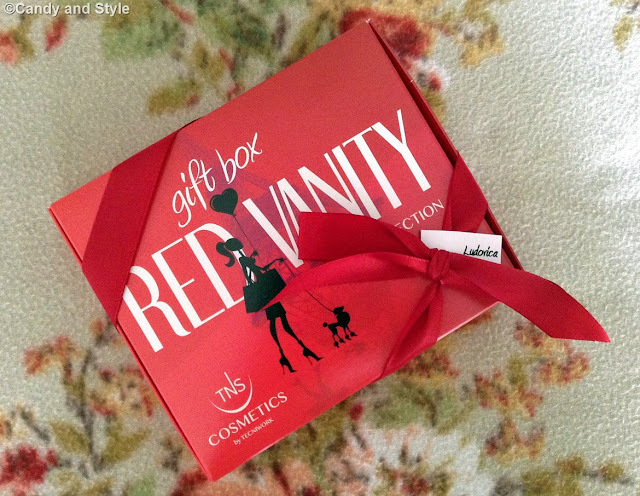 Don't know if you remember this post in which I've talked about the Red Vanity Collection, a limited edition of nail polishes, entirely dedicated to red (if not, check it out now!). Today, I'm thrilled to announce that TNS Cosmetics has just launched the matching set of lipsticks and lip pencils: Red Vanity MakeUp, three stunning shades of red (Borgogna, Forever Soul and My Funny Valentine), perfect for each woman and for all the year round. When I was asked to review one, I had no doubt and I soon picked My Funny Valentine, which is already my favorite hue among the two nail polishes I previously got: a bright and eye-catching red. Great variety of products! I love the red color! Now that's a great red lipstick, I wish I could subscribe to this Beauty bag. Beautiful red colors ! Love it on you, Lilli ! And that lipstick pattern blouse is so cute ! Mi piacciono molto questi prodotti. Io uso gli smalti e mi trovo benissimo! Credo di avertelo detto più di una volta che il rossetto rosso ti sta benissimo!! and I love lipsticks with plumping effect. Lilly sei divina con questo make uo, enfatizza tantissimo la tua bellezza ed i tuoi colori. Adoro abbinare il rossetto con lo smalto, è un'idea grandiosa questa di TNS! It's high quality stuff, Lilli! I want to try the lipstick. Happy weekend babe! lilli, di questa linea tu mia fatto conoscere gli smalti. ero abituata agli smaltini che duravano quanto un gatto in tangenziale😂😂. questi sono ottimi, si vede che sono professionali perché una volta messo, durano tantissimo. spero sia di qualità anche questa linea di rossetti. grazie lilli per queste graziose novità che ci fai conoscere. sei sempre sul pezzo😘. It's interesting how different the three reds appear. 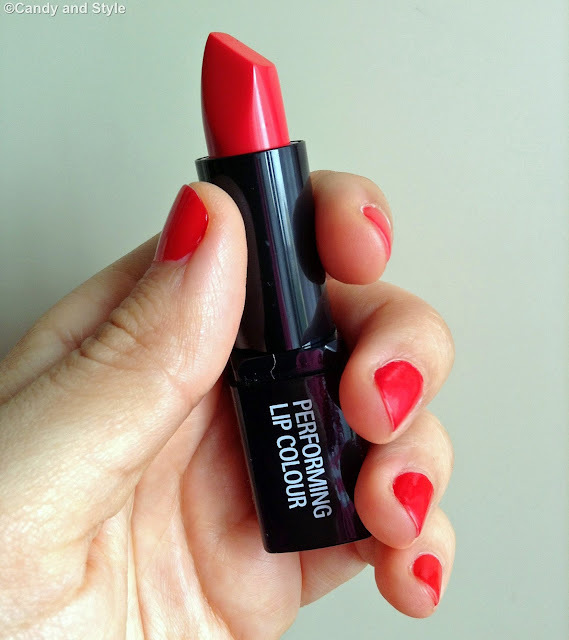 I would have picked "My Funny Valentine" too - what a bright and bold shade of red! You look lovely in that shade and how great to see that it has vitamin E and hyaluronic acid too! Love the lipstick and have a wonderful week dear! Very pretty colours! I would choose the one in the middle. I think you picked the perfect shade for you Lilli! The color just goes so well with your skintone and is very pretty on you. The texture sounds nice as well. I think I would choose Forever Soul as blue based reds just seem to to look better on me. Have a splendid weekend my dear! Che bello questo rosso intenso ti sta benissimo... l'ultima foto è bellissima!!!! belli i prodotti e stilosissima la scatolina! I would've picked My Funny Valentine also Lilli! HAHAHA It looks so good on you. Love your lippie shirt, earrings and such. Looks so pretty on you! Ma che bello questo colore Lilli, ci credo che sia stato amore a prima vista! E' davvero stupendo! I think you choose the prettiest of the 3 sets, Lilli! That lipstick looks absolutely stunning! It's bright and just lights up the face. I wonder if this brand has world-wide delivery, I'll check them out. Bellissimi prodotti, e bella la camicetta! if i saw these three difference shades of red lipsticks i was sure your choice is the funny Valentine red and this red is my favorite color too of these three sets. This classic red is just perfect for you matches fantastic with the nail color. Light, creamy and not drying out sounds also good. Thank you for this review. 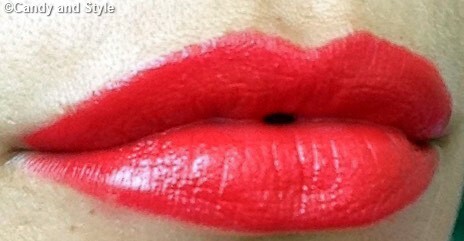 Μy favorite lipstick is the Funny Valentine !! Preety color! !Like your shirt and earrings! You look gorgeous dear!Have a happy weekend! Che belli questi prodotti! Un bacio tesoro. I would choose burgundy, though red is also necessary and essential in my cosmetics, you Lilli tone that is fantastic, have a great weekend! Beautiful color; the lipstick print shirt is so beautiful. Wow, amazing shade! :) I love red lipsticks. ...di questo brand ho provato gli smalti e sono ottimi...anche questo rossetto sembra splendido...poi il rosso è proprio il tuo colore!!! Amazing products. I like the Forever Soul collection. Happy Weekend Lilli! hai fatto benissimo a scegliere My Funny Valentine, ti sta divinamente! adoro la camicetta e sei splendida nell'ultima foto! Lovely lipstick.=) I've never heard of this brand. This is such a cool concept to bring out all the collections in different shades of red. You know I love red on you and I know you love a red lip so I can see why you would get excited about this new capsule collection. 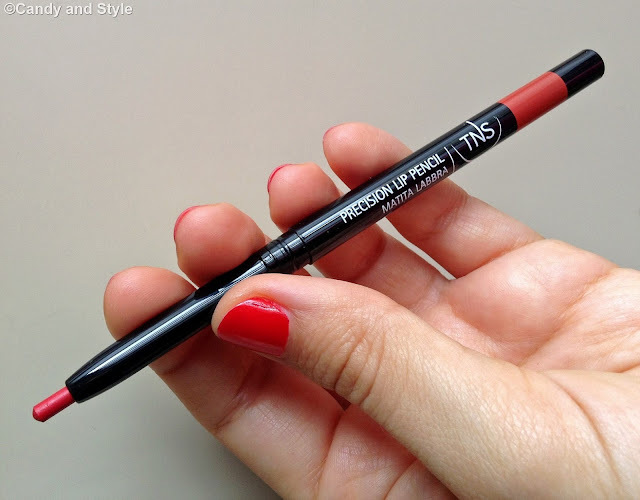 Great review and I love the idea of the matte because I always find glossy comes off too quick. I love the idea of the pencil too for good precision. I often use a lip pencil in this way. I'm not sure if this brand is available in the UK so I will have to look it up - my favourite is Forever Soul!. Have a great week Lilli x Oh by the way I love your new blog design - looks so professional! Lilli, inanzi tutto ti faccio i complimenti per la scelta della camicia...nessun altro capo poteva essere più perfetto di questa camicia per questo post. Invece per quanto riguarda ai prodotti sembrano ottimi. Bellissimo il rossetto rosso, lo vorrei anche io. and so so beautiful red color..!